When purchasing a property from me I also assist in ensuring all utilities are transferred over in a smooth transition. This may sound like a trivial or easy item to complete, but at times with the overnight rental cabins it takes some planning to coordinate the transfer properly. The electric provider for nearly all of Sevier County is the Sevier County Electric System. They are very friendly folks and easy to go to in person before (or right after) closing to switch over the electric on your new property. It is important properties used as overnight rental use must pay a deposit of double the highest electric bill in the past twelve months. This can end up being quite a large deposit (especially for larger cabins). There are some other options such as bonds, but they aren't frequently used by out of area investors. Sevier County Electric System can be contacted via phone at (865) 453-2887, on the web at www.sces.net, or in person at their office in downtown Sevierville located at 315 E. Main Street, Sevierville, TN 37862. When purchasing a property the water is provided in one of three ways. They include a municipal or county utility water system, a community water system with their own water tank storage and system, or by a private well. Many properties are serviced by private wells. In that case there is no need to do anything as far as transferring service or having a bill to pay each month. For properties that have wells, I can do the research with the State of Tennessee to determine the depth of the well and the gallons per minute it flowed when the well was originally dug. This data can be obtained most easily if there is a well tag number visible on the well. If there isn't a well tag number visible, the information still may be able to be tracked down by the street address, lot number, and original name of the owner or builder on the property. It isn't guaranteed they will have the information, but I have had good success in the past. 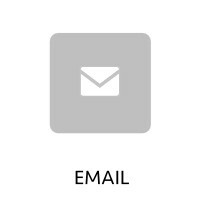 Also, I have the contact information for people that do water tests to evaluate water quality and can perform a variety of services such as water filtration systems, new well pump installations, and more. Community water systems are those located in subdivisions where there are storage tanks to provide water to the properties within the subdivison. This can be accomplished in a variety of ways, but most commonly it is a gravity fed system with large storage tanks from a series of wells up higher on the property within the development. A few communities (such as Legacy Mountain Resort and The Preserve Resort) have storage tanks underneath the cabins within the subdivision. Typically the cost to operate these systems are incorporated into you HOA dues (and not based on usage). However, a few communities have different HOA fees depending on the number of bedrooms (or size) of the property. There are several different county and city water departments in Sevier County including Sevier County Water, Department, Pigeon Forge Water Department, Sevierville Water Department, and Gatlinburg Water Department. This type of water service requires a small initial deposit to switch service over and owners are charged based on the number of gallons used. Please note that at the time of this writing Sevier County Water Department charges overnight rental cabins a commercial rate which is considerably higher than other water departments within our area. Not many cabins are serviced by Sevier County Water Department, but there are several subdivisions where they are the water provider. If you are building a new home there are water tap fees each of the departments charge. Sevier County Water Department - Phone: (865) 774-3852, Address: 227 Cedar Street, Sevierville, TN 37862. To get new service established you can contact Misty Green at migreen@seviercountytn.gov. 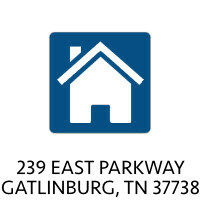 Gatlinburg Utility Department - Phone: (865) 436-1407, Address: 1230 East Parkway, Gatlinburg, TN 37738. 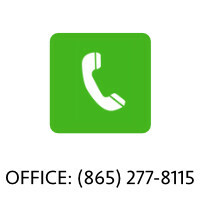 To establish a transfer of service at an existing location contact Susan Brandenburg. Waste disposal is also handled in three different ways in Sevier County. A property can be serviced by an municipal sewer system, a community septic system, or a individual septic system. With an individual septic system, there is no transfer of service or fees when purchasing. If you need a contact for a septic system to be pumped I can provide a couple contacts within the industry such as Milks Enterprises. The Sevier County Environmental Health Department processes septic permits for new construction. They are also the point of contact to identify the number of bedrooms a property has been approved for, the type of system completed, and the location of the system in relation to the home. Community septic systems are common in overnight cabin rental resorts. Many of the subdivision that utilize this type of system are Planned Unit Developments (PUD's) where the lot sizes aren't very large. With a community septic system, the fees are either due to the HOA for the service or paid directly to the private company that maintains (and most often initially installed the system) such as Tennesssee Wastewater or IRM Utility (Wild Briar Subdivision). Typically they will track the property records or the HOA will provide contact information to new owners for billing. 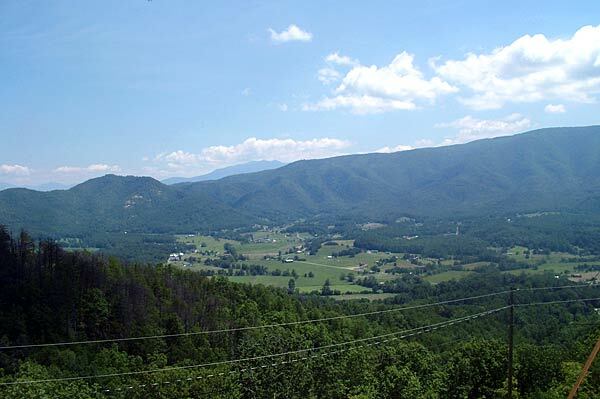 In Sevier County the vast majority of properties use an electric heat pump and have electric ranges. However, there are some properties that are serviced by Sevier County Utility District (SCUD) that provides natural gas to its customers. In overnight rental cabins, fireplaces (and some other items) are often gas provided by a bottled propane provider. A few of these companies include Thompson Gas, Sevier County Propane, and Heritage Propane. With a propane tank, some are owned by the property owner and some are leased. There are also different ways to schedule the propane to be delivered. For instance, people can choose a plan with the company to have it delivered on demand (such as when the customer feels they are running low on gas or the prices may be advantageous to the owner) or they can select to be part of the typical route delivery by the propane provider where the gas is automatically delivered according to their schedule to fill up your tank whether you are at 90% full or only 10% full. People purchasing a property in Sevier County have several different options for Cable TV, internet, and phone. Cable and high speed internet providers include Comcast/Xfinity and to a lesser extent Charter Communications. Also, satellite such as DirectTV or Dish Network is an option where cable isn't available or if you prefer it in locations where cable is available. 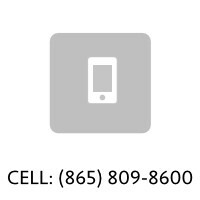 ATT&T also provides services in our area. Dealing with one of these providers is often the most frustrating of any utility during a transfer. They are large national companies usually without a local representative to talk to in order to establish new service. With Comcast (and other companies) the previous owner has to return their cable boxes and modems, so the new property owner must have a technician come to install the new equipment. This can often be difficult for an owner to schedule as they give broad time frames when they are available to make an installation. Typically either myself or, if you are purchasing an overnight rental cabin, the management company can meet out at the property to wait for the installer. I will also help coordinate this with the availability of the cabin to make sure it isn't rented. It is important to plan ahead and ensure no guests are without service. There are different ways to accomplish the service remaining uniterrupted. If the property is an overnight rental cabin and you are switching management companies there are several different options. One may keep the cabin on the existing management company for a short period of time, honoring the existing reservations. In this case coordinating with the existing management company to meet at the cabin and switch service during a time when it isn't occupied is your best bet. In this case it may be necessary to compensate the Seller of the property for keeping the services on for a few days after closing (especially if there is a current guest in the property that checked in before closing and departs after you purchase and close on the property. If you are switching management companies immediately after closing and not honoring any previously booked reservations, it is usually the case the new owner stays at the property (or has someone work on the property) a few days after closing to tie up some loose ends. This could be a situation of simply wanting to enjoy your new purchase, scheduling and have updates or repairs completed, or the cabin being taken off rental completely. In this situation it is often not as difficult for timing and getting the service installed since it isn't as time sensitive. If you have any questions about obtaining service or anything else related to the utilities in Sevier County please feel free to contact me!